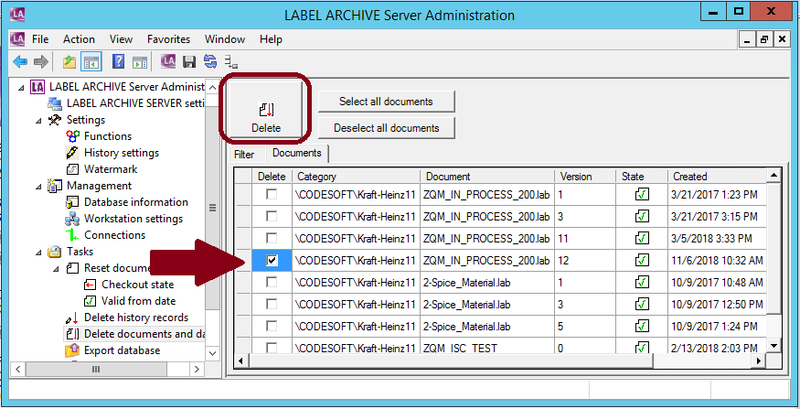 This Instruction Article explains how to delete a label version for TEKLYNX CENTRAL. 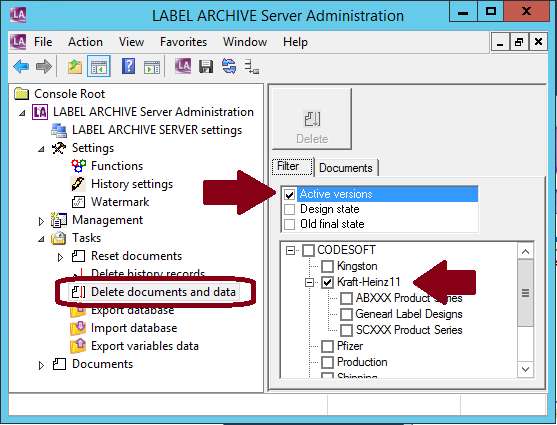 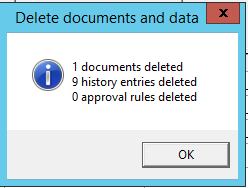 The “Delete documents and history permanently” function in LABEL ARCHIVE (i.e. 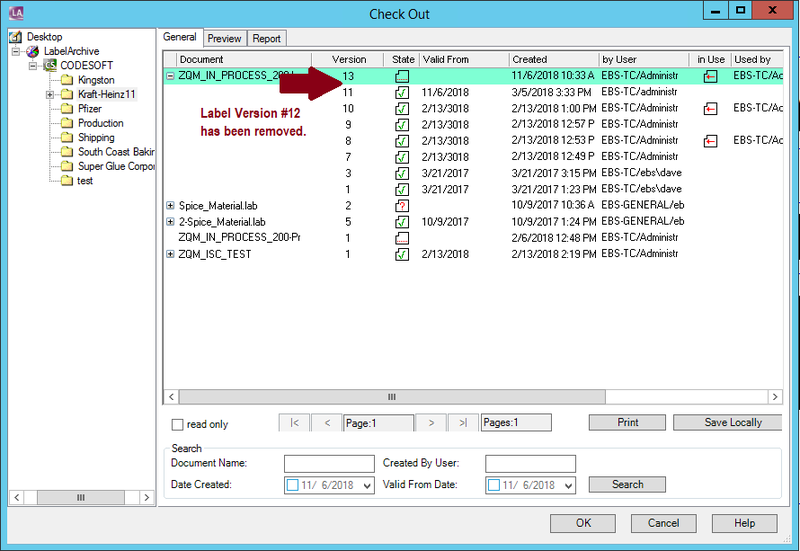 Label Manager) will determine if the records relating to the deleted label version are removed from the database or just marked as deleted (with the possibility of later recovery).